I’ve always been one to make goals, lists, and resolutions for the new year. I even share my monthly goals here on the blog. I love it. It keeps me accountable and helps me focus on what I think is important. However, I’ve never picked a word for the year to focus on. 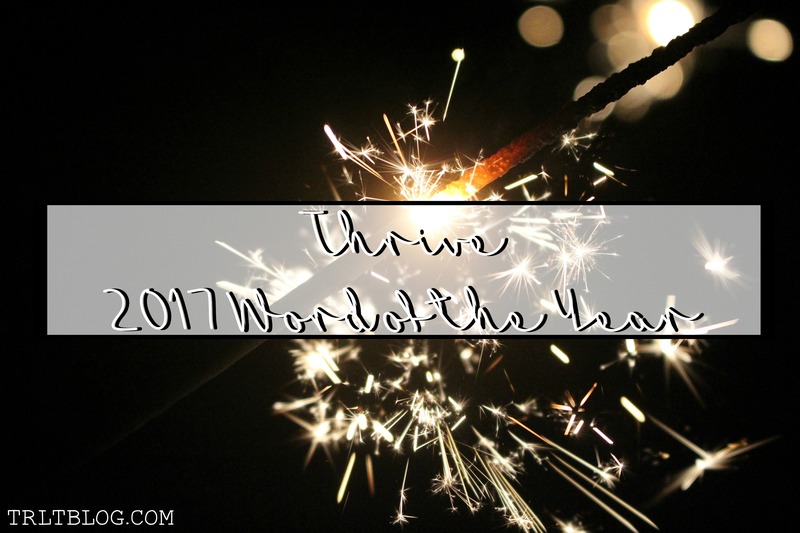 For the past few years, I’ve seen many share their word for the year. It’s a word they use to base all of their goals on for the year. It’s a really incredible concept because it keeps all of your goals and resolutions in focus. So I decided to try it out this year. In 2017 I want to Thrive in all aspects of my life. I love trying to improve myself and become the best “me” possible. If I’m able to thrive in different ways, I think it will make me a much better person. Now, to connect all of my goals and resolutions to this word. That part was a little tricky, but it works! I’m definitely not the healthiest person in the world. I love my vegetables, but I also love my french fries and cape cod chips. It’s really hard for me to stay accountable with healthy eating, or just eating better in general. It’s also really difficult for me to stick with an exercise routine. I struggle, I survive. That has pretty much been my life for as long as I can remember. I want to love myself more. I want to incorporate self care into my life regularly. If not, I burn out and have break downs. It is okay to take care of yourself. I need to remember that this year. I obviously love social media and blogging. That’s why I’ve been here for so long! It is something I love to do, and it keeps me happy. I have some other goals and resolutions to complete this year that are separate from the categories above. Those are my resolutions for the year! Be sure to share yours in the comments below!